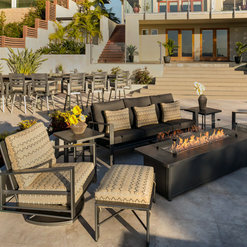 Superior Outdoor Living Design and Products | 3X Best of Houzz Award! Georgia Patio and their staff are wonderful! 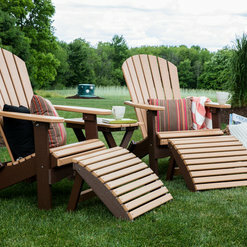 Great selection of outdoor furniture along with great service. I worked with Lisa King and she was fabulous. Very knowledgeable and helpful, and not at all pushy. She listened to what I liked and was able to direct me accordingly. Delivery personnel were equally as wonderful. No complaints whatsoever on any level from beginning to end. Love my new patio furniture! Hi Debbie. We are so glad you had a great experience at Georgia Patio! Thank you for your business. 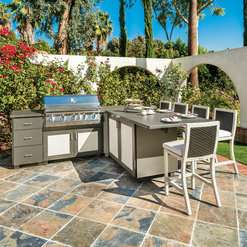 Georgia Patio offers a great selection of fine quality outdoor living furniture and accessories. They provide outstanding customer service. We will definitely visit them agin! Thank you for your business, Maddie. We are glad you had a wonderful experience at Georgia Patio. Georgia Patio was recommended to my wife and I by one of our neighbors. We were kindly greeted by the staff and never felt pressured by the salesmen. 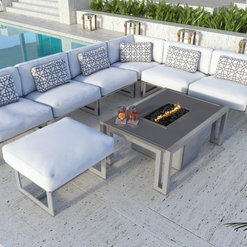 Georgia Patio has a large selection of quality outdoor furniture and were very accommodating to our customized selection. Our backyard is now the envy of the neighborhood thanks to the purchase of our outdoor seating and gas fire pit. Will be returning soon to purchase a Big Green Egg. We appreciate your business and are glad you had a wonderful experience with us at Georgia Patio. 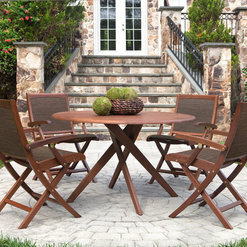 Great selection of outdoor furnishings and accessories. We love our new furniture, big green egg, and “eggcessories” from Georgia Patio. The staff was very attentive and helpful in selecting furniture that fit our needs, pricing was affordable, and delivery went very smoothly. I will definitely be back, highly recommended! We are glad you had a great experience at Georgia Patio. We thank you for your business. Gorgeous show room with tons of outdoor patio furniture. Sue was wonderful to work with, her vast knowledge in patio/outdoor furniture she was able to help us narrow down the perfect couch and ottoman for our patio. Thank you for your business, Leslie. We are glad you had a wonderful experience at Georgia Patio. Very large selection to choose from. The staff are friendly, knowledgeable, and helpful. I have bought several products from them and will continue to do so whenever the need arises. Great customer service after the sale. I don't usually take the time to write reviews but in this case I will. My experience with Ga Patio was very positive. They carry unique high end products and have the service to match. 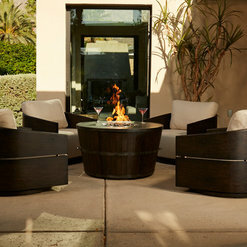 If you want to make a statement with your outdoor furniture, give them a look. Steve Poindexter helped us and I would use him again. My shopping experience with Georgia Patio was wonderful. I did not feel rushed to make a decision and the sales associate was extremely helpful, especially in helping to decide colors and patterns for each piece. The end result was everything we wanted! The quality is outstanding. They even delivered earlier than anticipated. I would definitely recommend shopping with Georgia Patio. 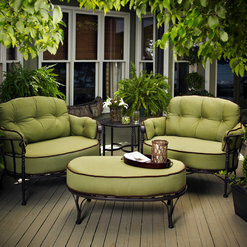 We were looking for furniture for our upstairs & downstairs screened porches & deck & under deck. 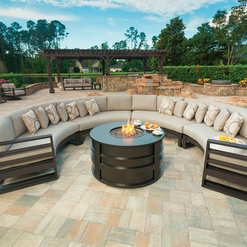 After looking at literally every outdoor/patio store in metro Atlanta, we kept coming back to GA Patio. They were the most knowledgeable & courteous. Lisa King was great in helping us pick out exactly what we were looking for. What size we needed, what colors, what tables were needed. I wish we had saved ourselves so much time & agonizing over what to get. We were spending a good bit of money & I think the quality of their furniture is the best. I'm sure it will be here for years to come! I confidently recommend Georgia Patio. We had a complicated order for multiple pieces of outdoor furniture. Lisa could not have been more accommodating. She followed through with us from beginning to completion. She always responded in a timely manner. Fantastic product line and service is the best I have ever experienced. Matt knows his products and provides excellent customer service. Very refreshing. 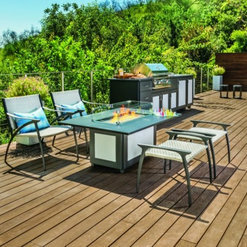 We recently moved to Woodstock and needed lots of outdoor furniture and accessories to complete multiple living areas around the pool and on various patios and decks. Georgia Patio did an outstanding job in planning, designing, selecting fabrics and recommending accessories to complete our project. Matt and Sue have continued to be our source when we add to our outdoor living space.....true professionals! We proudly recommend them to our friends and family.....in fact all three of our adult children have used Georgia Patio to furnish their outdoor living areas.